The good news is that prior to this injury, I had been focusing on many ways to improve my life, attitude, performance, etc. Several books I read had large sections focusing on the power of a positive mental attitude–no matter the situation. 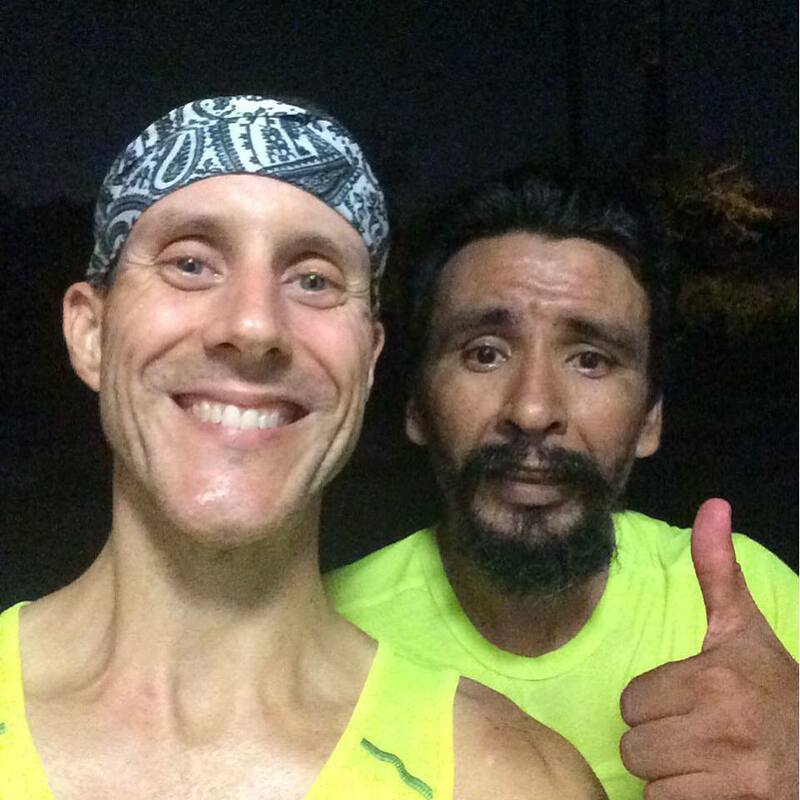 When the news hit that I had to stop running for over a month, my positive perspective was that this would make me stronger and with a little luck and a lot of elbow grease, I would gain some new skills that will ultimately make me a better runner. The doctors and physiotherapists all agreed that I could continue to walk. With that, I set out to become an efficient power walker. Using many websites, photos, and videos, I learned some tips to improve my pace as a walker which is immensely useful in ultramarathons. 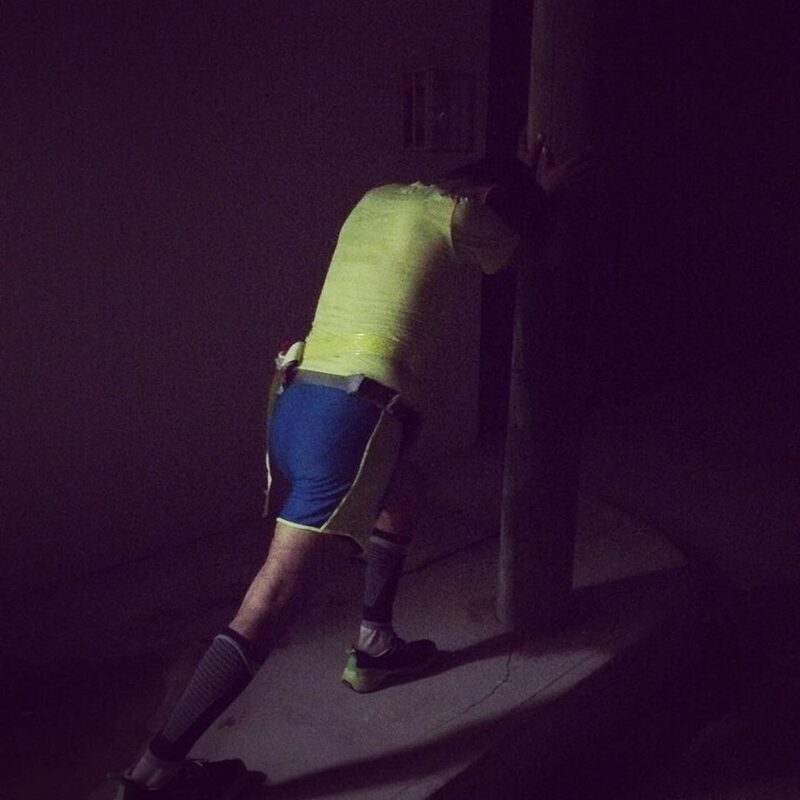 During the Keys 100, I think one of my assets was my ability to walk at a faster clip than most, allowing me to make up a lot of ground in the second half of the race. Over the past 3 weeks, my walking has improved by leaps and bounds. It reminds me of when I first started to learn how to run regularly. I am pretty sure that my form is not legal for the competitive speed walkers but I am definitely not running. Any motion that is close to running still bothers my calf. When I walk, my feet land on the heels and roll to the front. Plus, I am much less fatigued even after walking for 60-90 minutes compared to running. 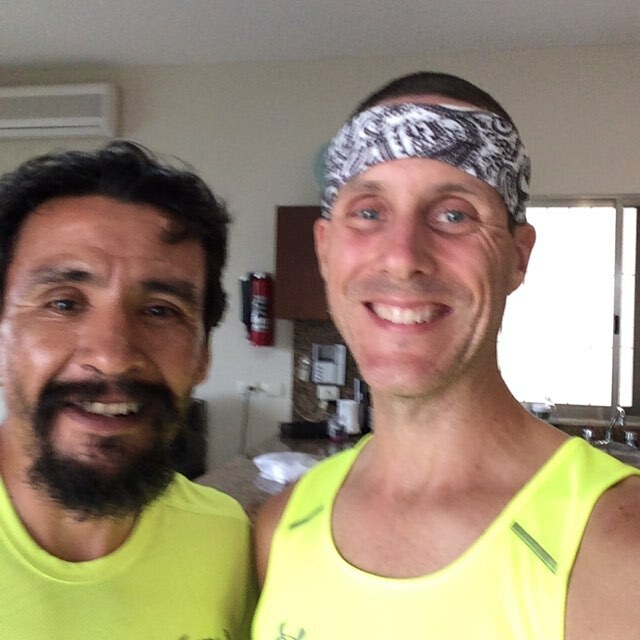 My adjusted view is this: I know that I will not be able to match or beat my Keys 100 time at the Javelina Jundred (20:28) but the whole purpose of this race is for the experience and to run a qualifier for entry to the Western States 100. The only requirement is that I finish under 30 hours. I am confident that I can walk 100 miles in under 30 hours. While my running fitness will not be where I want it going into the race, my hope is to have enough in the tank to give it a 50/50 or even a 75/25 run/walk ratio. Beyond this new power walking ability I am honing, I have been focusing on increased flexibility especially in areas that have been neglected during my years of running. Also, I have (finally) started to learn how to practice mindful meditation. It has been a goal of mine for numerous years but I never made the time to learn or try. In addition, I am working on increasing strength in the supporting areas of the body for running–better balance, posture, and range of motion. The funny thing out of all of this is that I am not worried or scared. I have a feeling of peacefulness that tells me I am learning and improving myself. This is exactly where I should be despite it not being my chosen path. 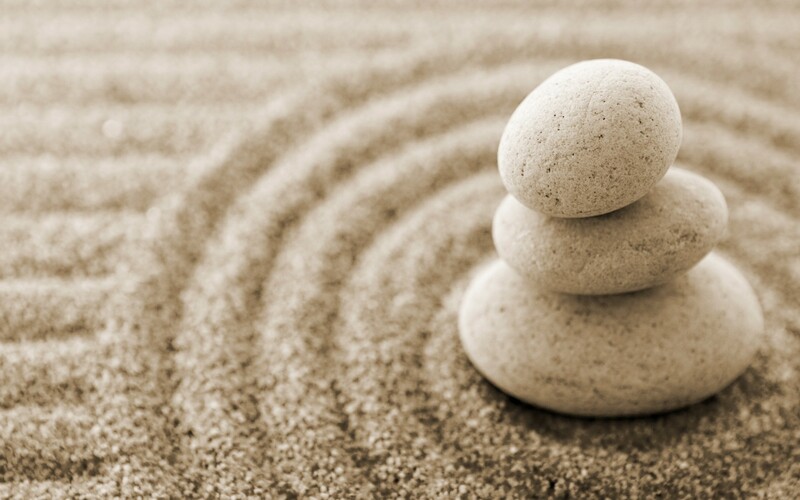 In a zen-like approach, I am not focusing on what might happen and wishing I could change the past. Right here is where I want to be. I have been mulling over what my next topic should be for many days now. The funny thing is that I have ended up procrastinating by being indecisive — paralysis by analysis. My goal, which I missed by a bit, is to get at least one post up every week. Topics I have considered: how to choose a coach, keeping a training program diverse, how to measure your progress, importance of family support, how to stay motivated when your race is so far away, and the concept of a milestone birthday. 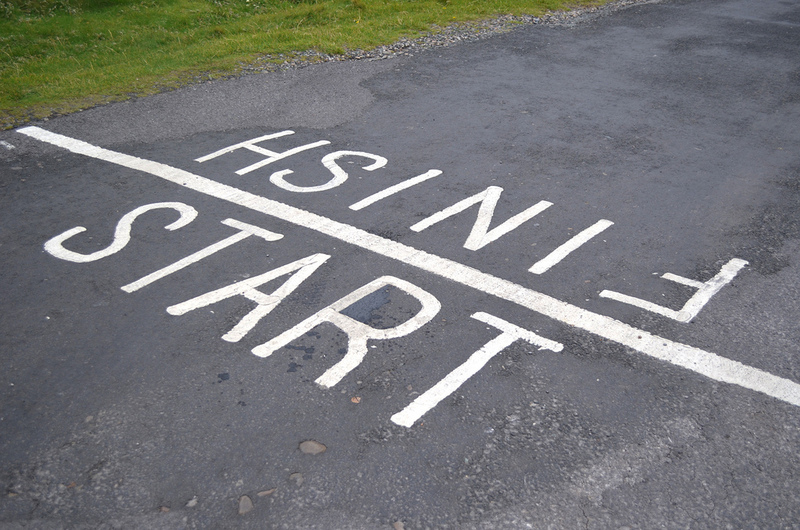 I think all of the topics are worthy of blog posts but typical to my personality, I am going to go with the easiest topic first and move on from there: milestone birthday. This week I turned 40. It has been surreal, exciting, motivating, a time for reflection, and, at times, no big deal at all. For the better part of the year, when I was 39, I was already considering myself 40. I am not sure why. Maybe I was excited to be 40, maybe I just wanted to get it over, who knows? 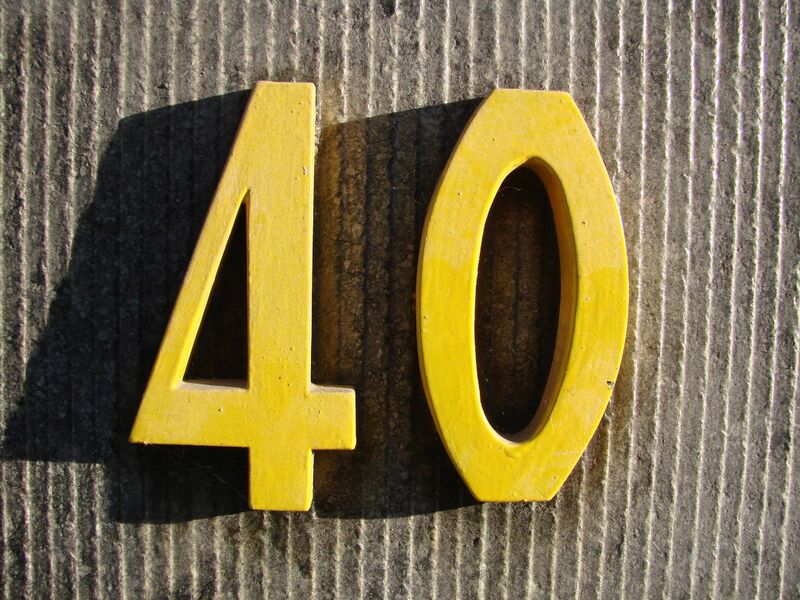 The first part of turning 40 is everyone asking how do you feel or what do you think about turning 40? Honestly, I am very happy to be 40. For me, it is some sort of validation that I have done pretty well so far in life. I have been happily married for ten years, I have two lovely daughters with a third on the way, I have an amazing family and some very important and wonderful friends in my life. I feel more grounded and confident at this point in my life than any other point in my life. My youth and early adulthood was filled with worries–worries for the future, worries about the unknown, worries about my past, worries about what decision to make, worries on what will happen in terms of love. You get the idea. The incredible power of the love, in which my wife has showered me, has almost completely erased that pervasive feeling of worry that plagued me for so long. Imagine this: have you ever been in an office, public building, restaurant, or home where there was a very loud a/c running or some sort of white noise that was in the background but not loud enough to be an acute sound and then that sound is removed. Do you remember that feeling of relief you felt once that agitating white noise was gone? That is what I feel in my life now. The love from my marriage has removed all that unwanted white noise from life. I have clarity and a defined direction. Do I know what is to come in the future? No, but I do have the feeling of calm because I know that whatever comes will be great and will work out. Plainly said, I have faith in what is to come. Wow, I think I digressed quite a bit there. The title of this post ties into the fact that age 40 I am now officially in the masters category for racing. Does it matter to me? Maybe. Why do I run? I run because I love to run however, I do have a desire to compete and to test my limits in and out of competition. It might be a nice goal to try to win the masters title in a race. It will take a ton of work since many strong ultrarunners are 40+ but I think it is highly important to set lofty goals. Without them, we are limiting our potential. 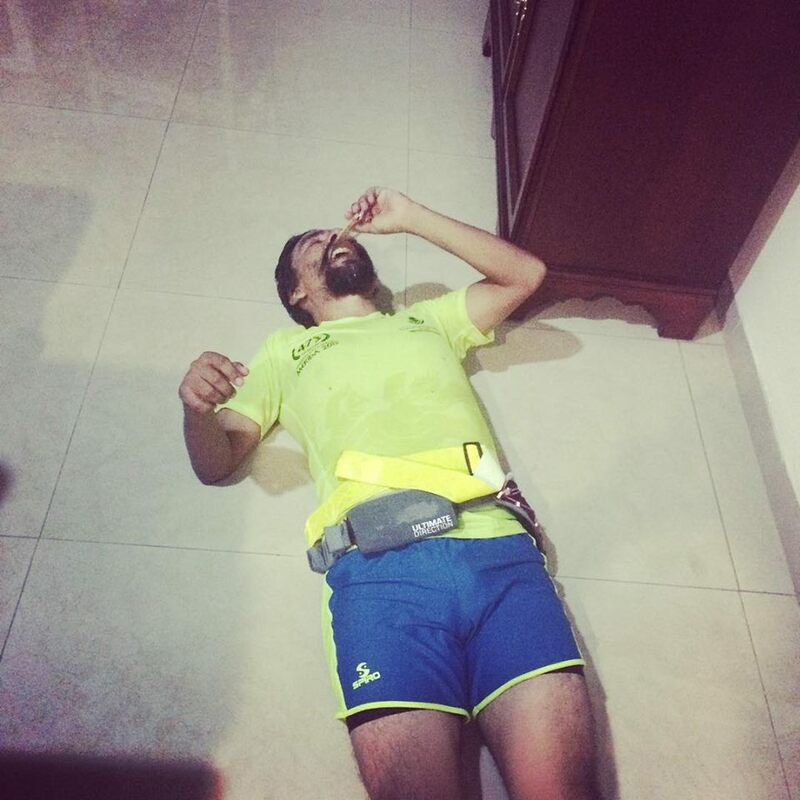 Another thought I have had regarding turning 40 is that I wish I would have discovered my passion for running at an earlier age–like in my twenties. At age 40, I am aware that biologically I am past my peak muscular development point in my life. I also understand that in order to perform at your absolute maximum in various sports, you need to put many years of dedicated training. Multiple experts claim that it takes around seven years to reach your pinnacle of performance. I have only been a dedicated runner for three years. In terms of ultrarunning, my weekly/monthly training at that level just started in midway through 2014. This means that I still have a long way to go in my development. The part that frustrates me is that I may be in my mid to late forties before I reach full potential. At the same time, I do have concern that time/age is burning the candle at the other end. 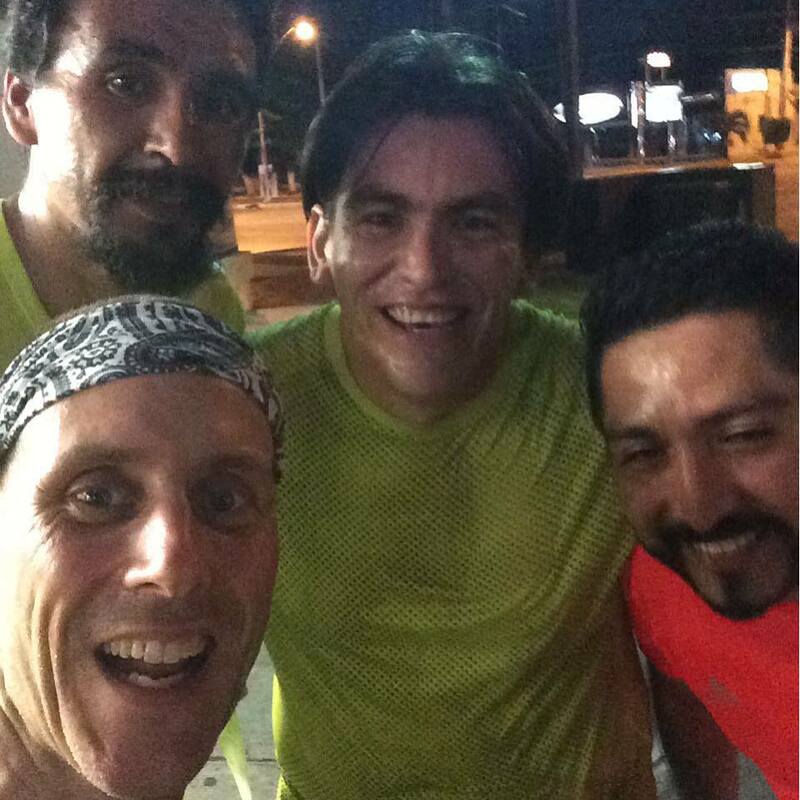 Had I discovered running at age 25, for example, I would be in my early thirties at the predicted time to reach full potential. Biologically, that would match perfectly. What I finally realized is that it is a waste of time to spend energy thinking about the “only if” or “what if” scenarios. What use is it?! I am not going back in time. I need to focus all my energy on what I can control. I do realize that many of the runners I respect and admire have been running since high school and have 20+ years under their belts. I cannot do anything about that. On the flip side, I have much less wear and tear on my body. Maybe that could work to my advantage. And again, does any of it really matter? It only matters if I make winning or placing in the top 10 the end all be all. Where am I going with this post? I am not exactly sure but the point I want to make is that I am very happy to be 40. My life experiences, both successes and failures, have taught me many lessons and give me the direction and drive to pursue my passions to the fullest. I relish the opportunity to discover what adventures are to come and I am putting as much energy as I can into who I am as a runner today. That, in and of itself, is as much as I can do to push myself beyond the imaginary boundaries of my capabilities now. I do want to succeed yet success is an artificial construct. It may not necessarily be in winning a race but more so in the path that I am following to find out what my potential truly is. The truth of the matter is that success is only in my mind and if I find peace and fulfillment in my journey, then I have already won. Bring on my forties because I have been waiting for you all my life. 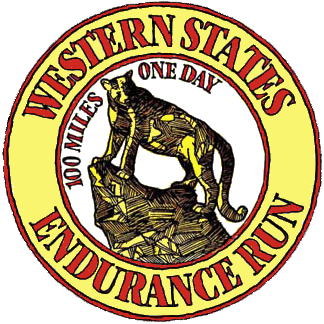 Tomorrow at 5:00 a.m. Pacific Time, the Western States Endurance Run commences. In my estimation and in the opinions of many others, it is the Super Bowl, World Series, or World Cup Finals of ultrarunning. This race is 100 miles through California’s Sierra Nevada Mountains. While it isn’t the toughest 100 mile ultramarathon in the world, it is a race that’s been around since the mid 70s when there were barely any 100 mile races and it attracts the best athletes from around the globe. 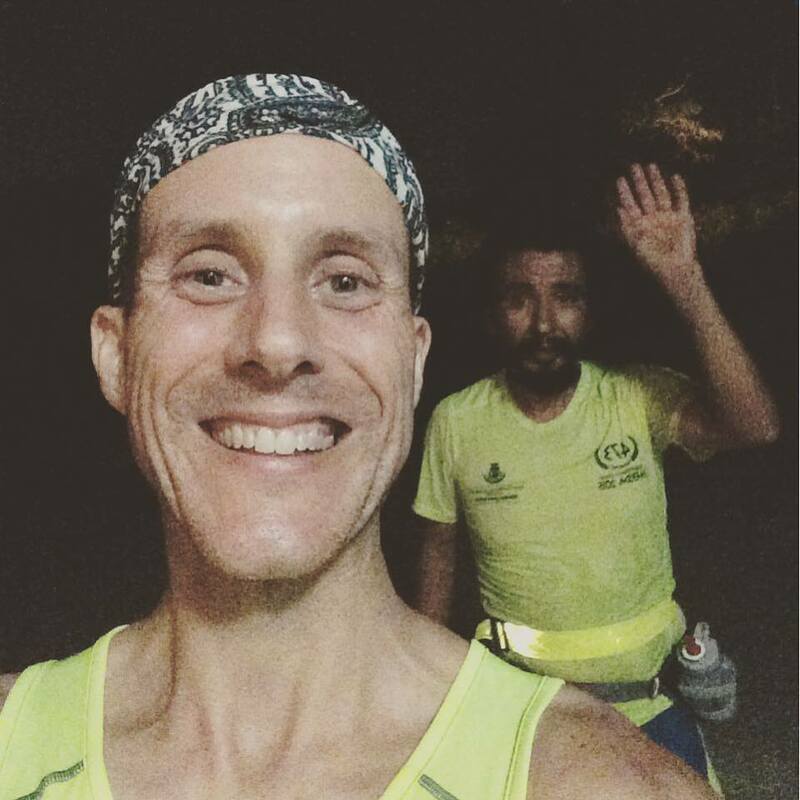 For me, as well as many other aspiring ultrarunners, it is the first ultramarathon we read or hear about. It reminds me of my youth when I would hear legendary stories about World Series games with stars like Babe Ruth, Mickey Mantle, and Reggie Jackson. As race day approaches, I have found myself glued to interviews, podcasts, blogs, and magazine articles related to this year’s event. The enthusiasm in which I find myself made me look at the connection between my passion for ultrarunning compared to baseball. Look at the profile of this race! Back in 1987-88, I had somewhat of a breakthrough athletically. Prior to that, I wasn’t uncoordinated per se. I was fast and strong but didn’t really stand out in any particular sport. I was decent in basketball as a guard, I was good at soccer as a fullback, but in baseball I was relegated to the dreaded right field position. For those that are unfamiliar with little league baseball, right field is where you would stick your worst players because the frequency of balls going out there was very little. Yet in 1987, my parents had a great idea to send me to a baseball camp in Cocoa Beach, Florida–The Clint Hurdle Baseball Camp. Those 5 days of working with professional baseball players changed my life. By having people work with me and teach me drills, the technique of proper practice, and the repetition necessary to improve, I suddenly gained a level of confidence I never had before. When the next season started for baseball, I went from being a bench warmer to one of the top players in the league. My love for baseball grew exponentially. I watched and listened to as many games as possible (no internet or cable television in those days). I collected baseball cards. I played baseball video games on the Nintendo and my computer. My friends and I played pickup baseball games all year long. When we would play these games, one thing we would do was pretend to be players in the Major Leagues. We would try to emulate their mannerisms, batting stances, and styles. The player I always picked was Eric Davis. He was a center fielder for my beloved Cincinnati Reds. Quick side note–while I lived in the Washington, D.C. area for most of my life, I did spend 3 years in the suburbs of Cincinnati in a town called Loveland. Because Washington did not have a baseball team during my childhood, I adopted the Reds as my team because I was not from Baltimore. I followed the Baltimore Orioles but I loved the Reds. 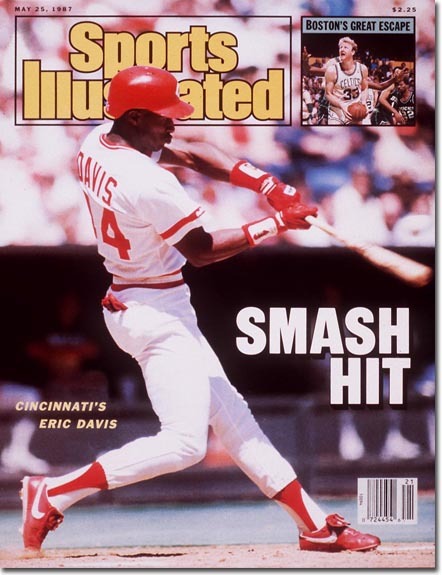 As a boy it was common to pick an athlete to idolize and I knew everything about Eric “The Red” Davis. 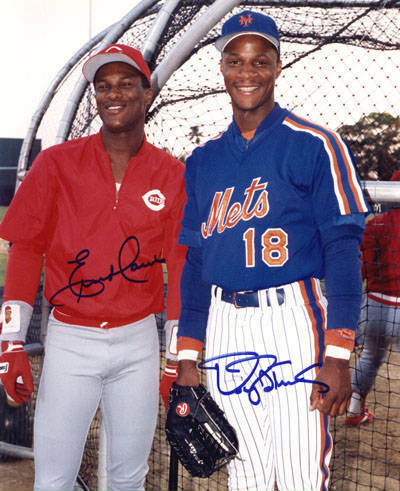 I knew what high school he attended, that one of his friends growing up was Darryl Strawberry, what minor league teams he played for, his birthday…well you get the picture. What I particularly liked about him was that he played the game all out. He gave EVERYTHING he had every single game. He was fast, he could hit homeruns, he made amazing plays as a fielder, and seemed to be an all around good guy. He was never mixed up with drugs, arrests, and other off field shenanigans. I truly idolized him and tried to craft my game after him. Since those times, I have always been known by my teammates as someone who would play at 100%, organize my own practices-even when the teams weren’t practicing, and would sacrifice my body to make a play or win the game. I had coaches tell my father at various times that I should try to relax a little more during practice because of my intensity. 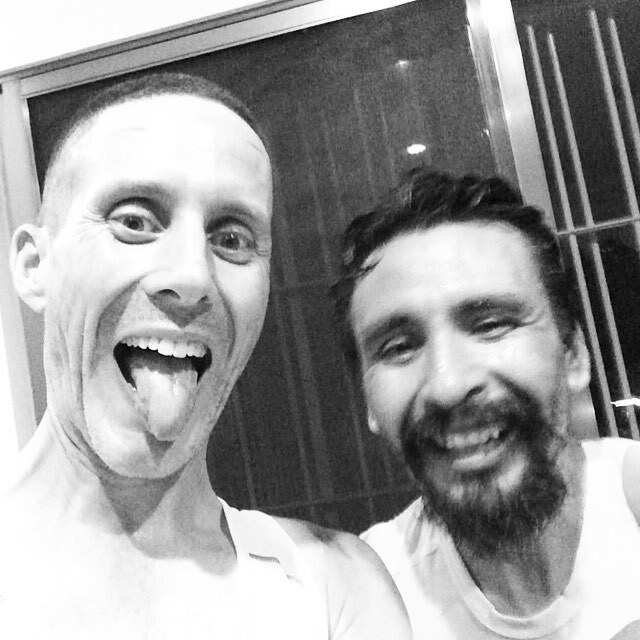 Looking back on those times and comparing it to today, I wondered do I idolize any runners? Is it possible for me, a grown man, to idolize anymore? Do I know enough about the sport of ultrarunning to really speak on the subject? To answer the question about idolizing–I don’t think as a grown man I would idolize anyone. I am content with who I am as an individual and my path in life. However, I do know that finding a few people that represent some of the things I hold important and who have immense experience to share is important if you want to grow. Think of the sensei-student relationship. As for knowing enough to speak about ultrarunning, who knows…I have only been studying the sport for a couple years, have only been running ultra distances since 2013, and only completed my first race 6 weeks ago. To get straight to the point, I would say that there are some people that I find represent many of the qualities in which I aspire. I don’t know whether it was serendipitous, coincidence, or just plain old dumb luck but the very first two books I bought related to ultrarunning were Finding Ultra by Rich Roll and Eat and Run by Scott Jurek. These two gentlemen seem to embody many of the things that are important to me at this juncture in my life. 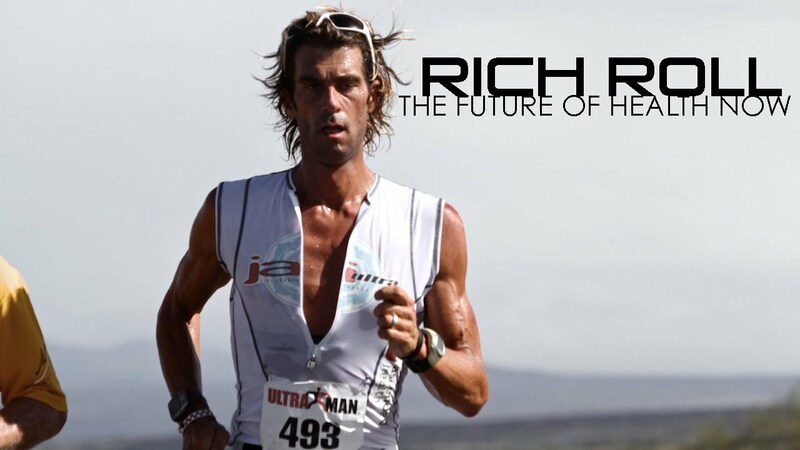 Rich Roll’s story is one of a school athlete who lost his way in college and by the time he was in his 30s was overweight, abusing alcohol and drugs, and unhappy with his life. He had a moment of clarity one night climbing the stairs, finding himself out of breath and realizing that if he continues down this road, he may not see much of his children’s life unfold. By way of reaching out for help, changing his diet, and dedicating his energy to improve his life he turned himself into an incredible ultra athlete who completed the Epic 5–an annual event consisting of 5 Iron Distance Triathlons, on 5 Hawaiian Islands, in 5 Days. He wrote an amazing book chronically his journey, hosts a widely popular podcast “The Rich Roll Podcast” (which I am a dedicated listener), and now has a fabulous cookbook “The Plantpower Way“. Reading his books and listening to him talk to such a diverse array of guests on his podcast has really given me an idea of what the guy represents. His insights, personal successes and failures, and the information that is presented in his podcasts has had such a profound impact on my life. After I read Rich Roll’s first book, I was thirsty for more. The next recommended book by Amazon after Finding Ultra was Eat and Run. This book by Scott Jurek tells his story starting as a young boy from Minnesota who worked his way up to being one the best, if not the best, ultrarunner in the world for a long stretch of time in the 2000s. Starting in 1999, he went on to win 7 consecutive Western States Endurance Runs, a feat that has never been matched. His story chronicled personal and family struggles as well as his journey to become a fully plant based athlete. Besides his success at the Western States, he went on to set numerous other records during his career. United States record for 24 hour distance on all surfaces (165.7 miles/266.01 kilometers). Won the Spartathlon 153-mile (246 km) race from Athens to Sparta, Greece three consecutive times (2006–2008). Won the Hardrock Hundred Mile Endurance Run (2007), and held the record time for one year until Kyle Skaggs set a new record in 2008. Won the Badwater Ultramarathon twice (2005, 2006), and held the course record for two years (2005). Finished first three times (2002–2004) and second three times (2001, 2005, 2006) in the Miwok 100K Trail Race. Won the Leona Divide 50 Mile Run four times (2000, 2001, 2002, 2004). Won the Diez Vista 50K Trail Run twice (2000, 2003). Won the Montrail Ultra Cup series twice (2002, 2003). 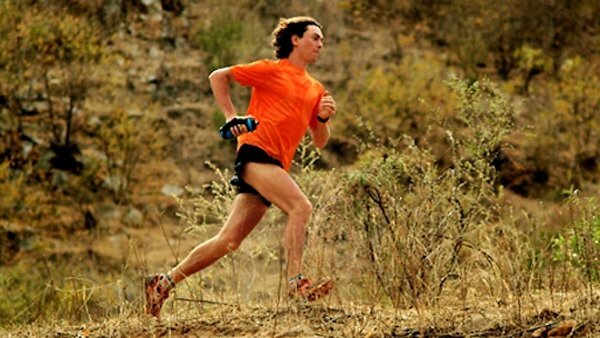 Selected as UltraRunning Magazine’s North American Male Ultrarunner of the Year in 2003, 2004, 2005, and 2007. What I particularly like about Scott and Rich as well as Dean is they come across as humble yet driven men. They don’t seem cocky or have self-inflated egos. From all accounts, they are down to earth and enjoy sharing their experiences and helping others–qualities that I strive for in my life. While I may not attain such lofty accomplishments as these gentlemen, I draw inspiration and energy from what they have done and represent. What is important to me is that I continue to strive for that which seems beyond my reach, to challenge myself to be better at my life, and to be a father and husband to be proud of. I want my wife and daughters to see me in the light that I saw my idols as a kid and to truly be that person through and through. That is what drives me in life.